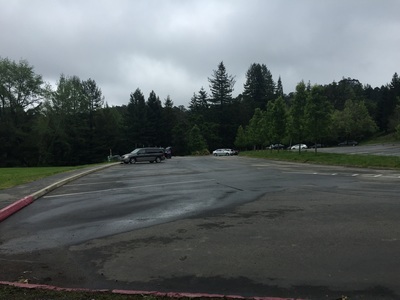 is large, with an additional gravel lot adjacent. 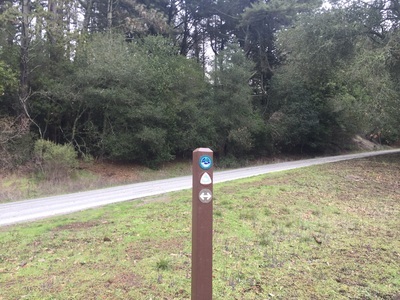 Large pullout with free parking at the Selby Trailhead. 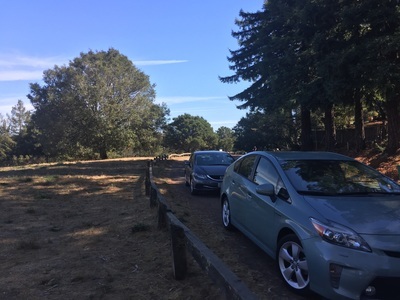 There are many other places to park throughout the park. Description: I'll preface this by saying that Tilden is a very large park, which spans two counties. 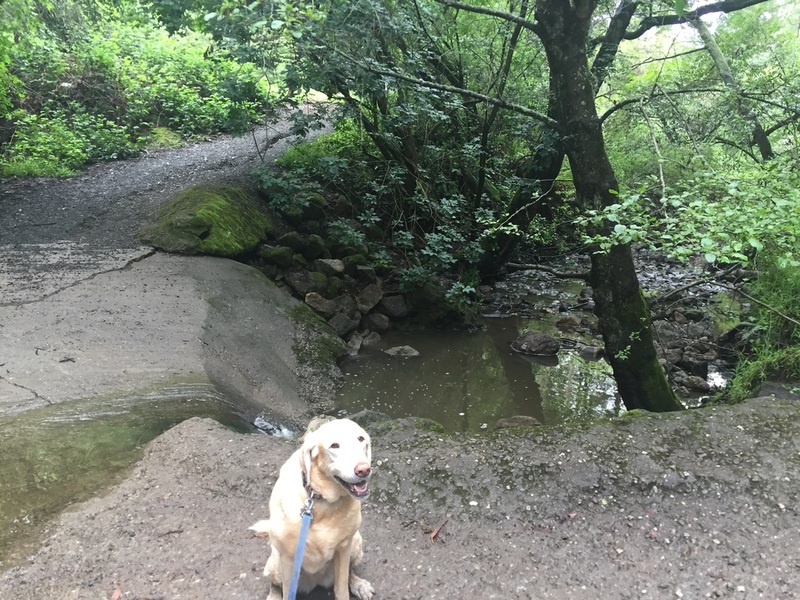 I already had Lake Anza under Alameda County, but I added Tilden as a separate entry because it's so large. 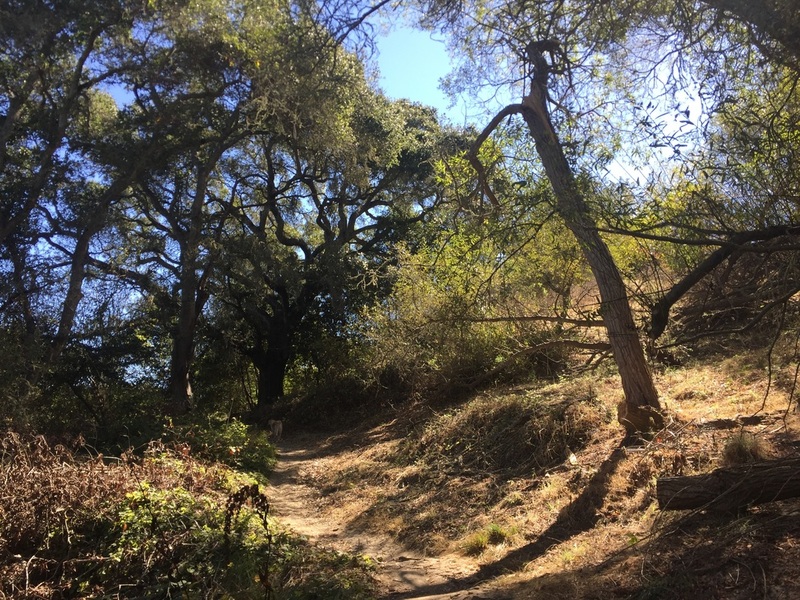 Lake Anza is an easy, mostly shaded, beautiful walk around the water, but the surrounding trails offer great views and some challenging hikes. 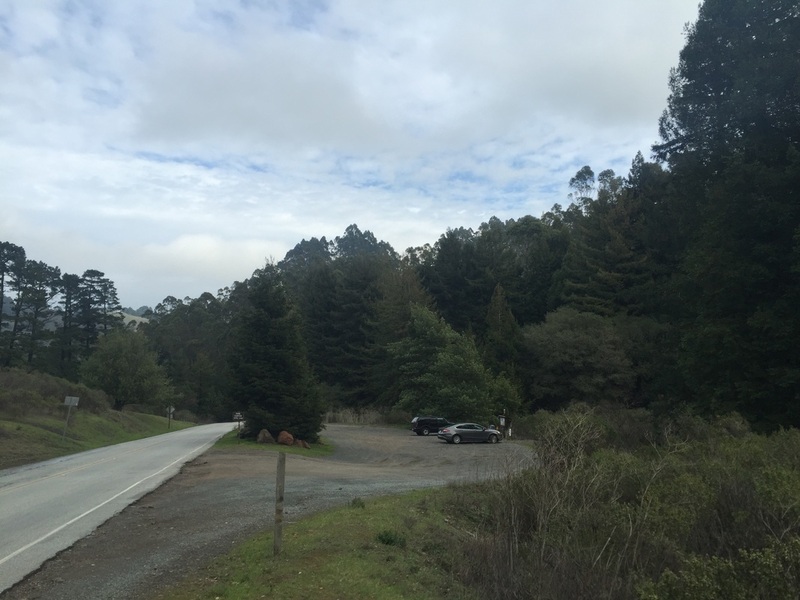 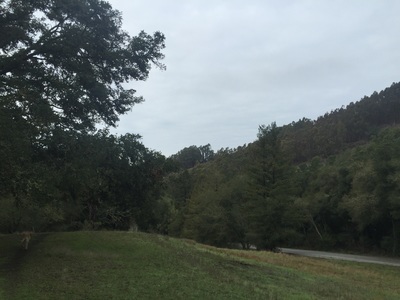 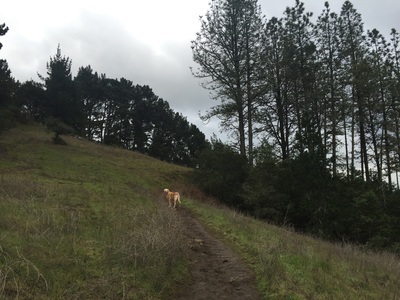 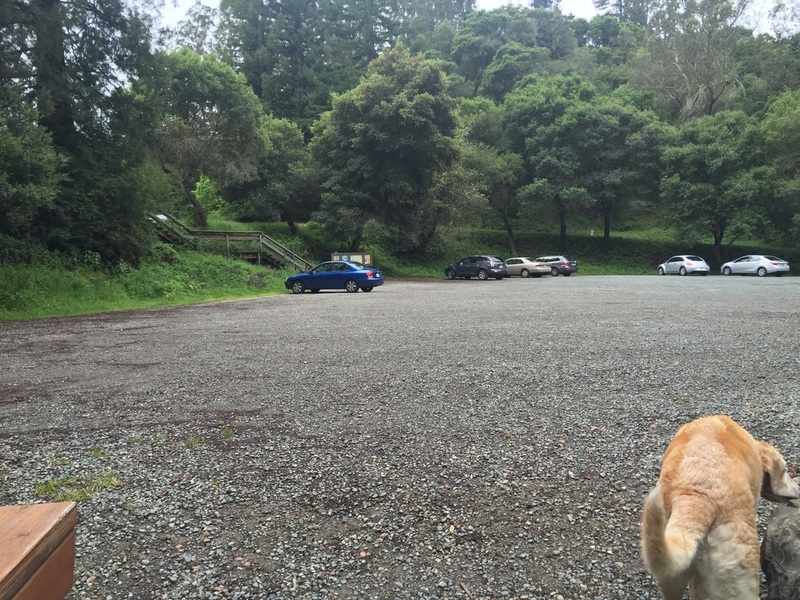 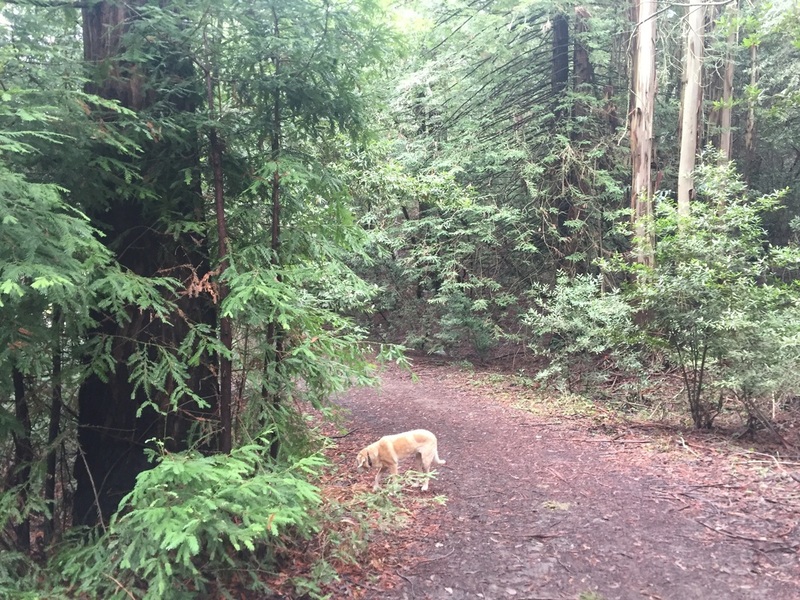 Tilden reminds me of Redwood Regional Park, but it's actually larger, having 2,079 acres. 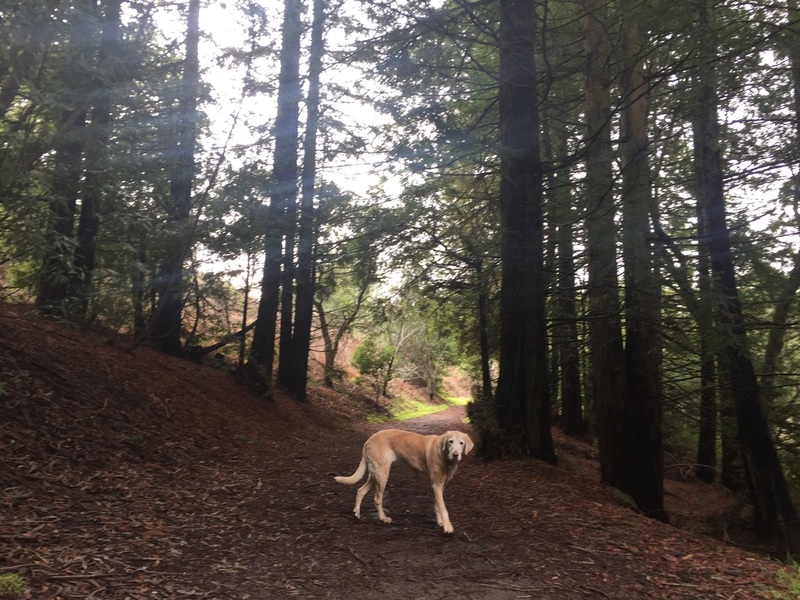 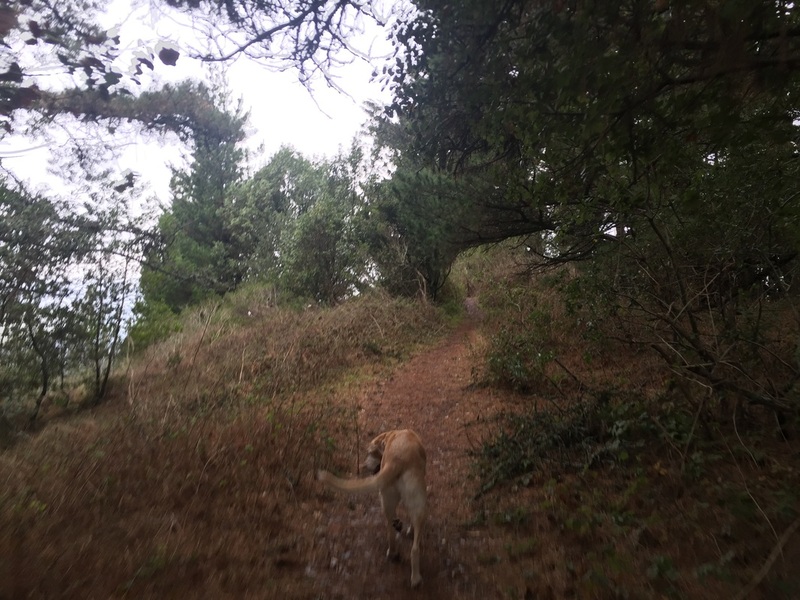 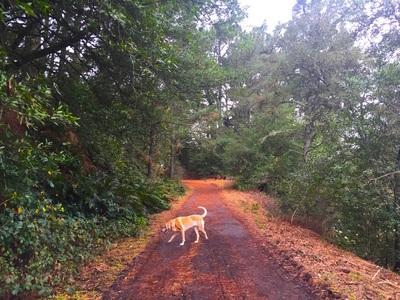 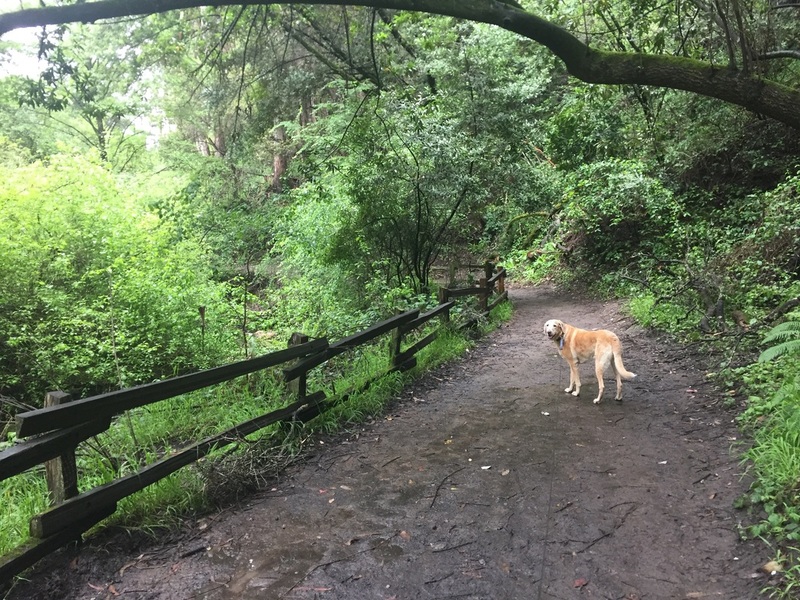 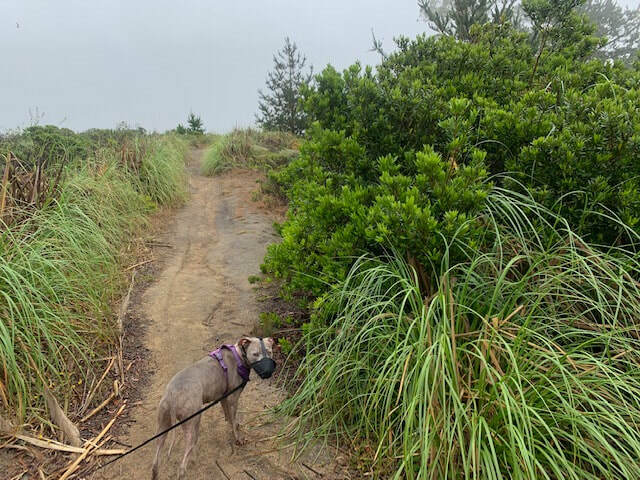 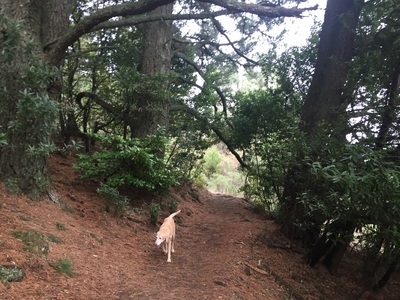 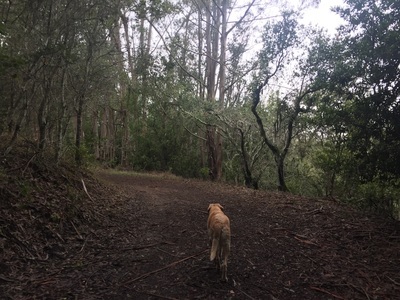 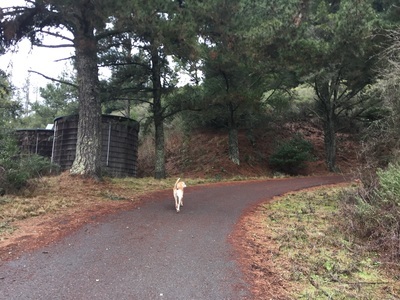 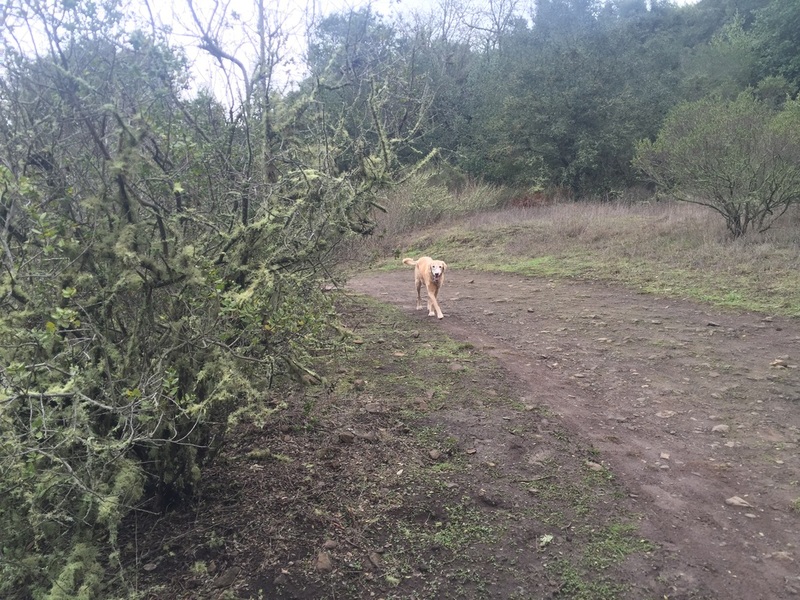 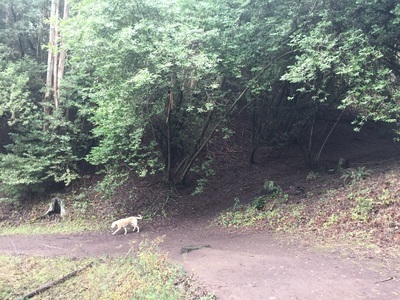 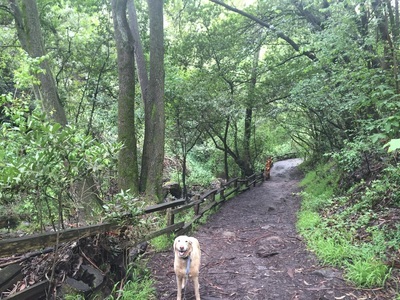 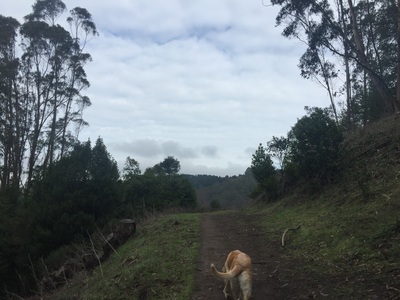 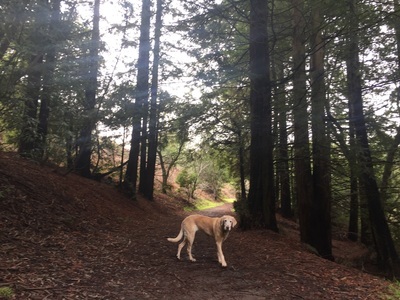 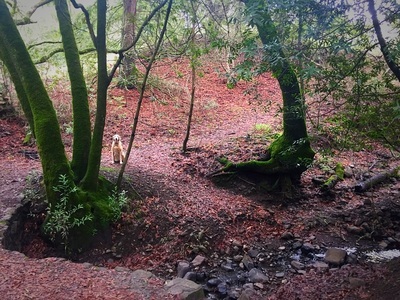 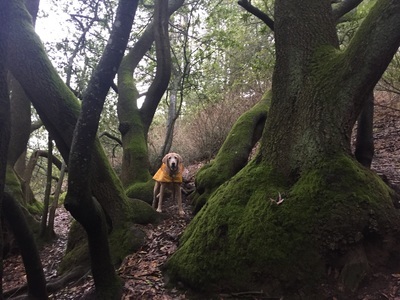 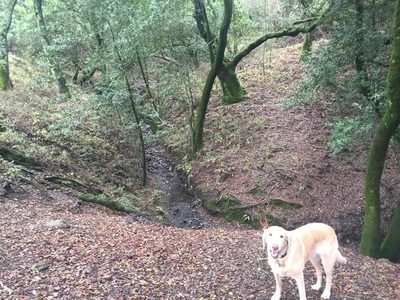 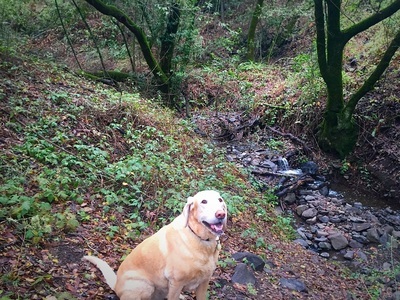 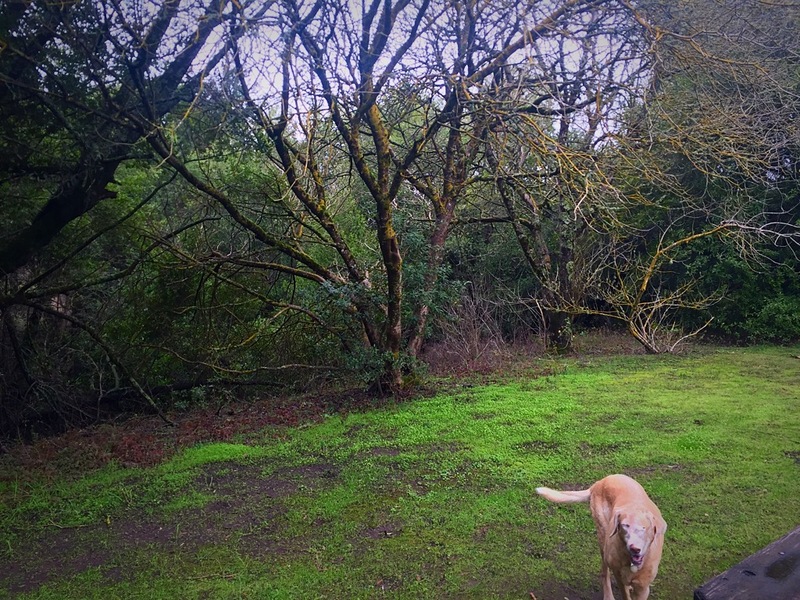 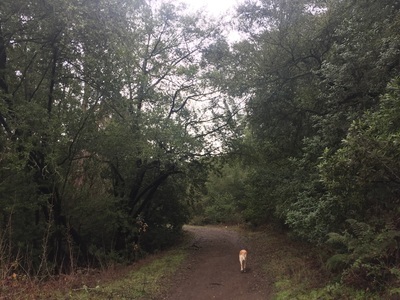 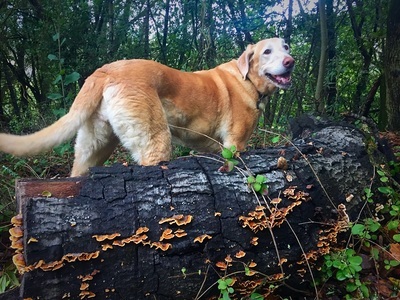 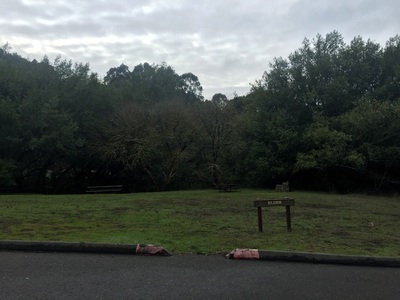 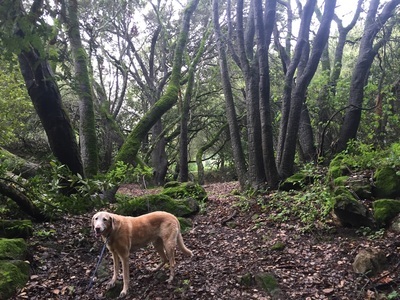 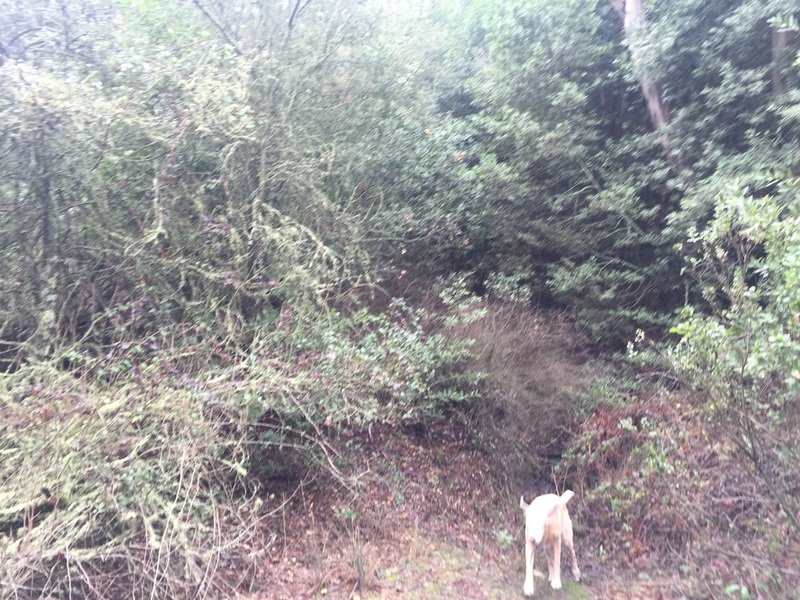 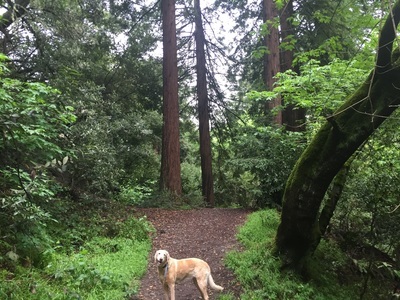 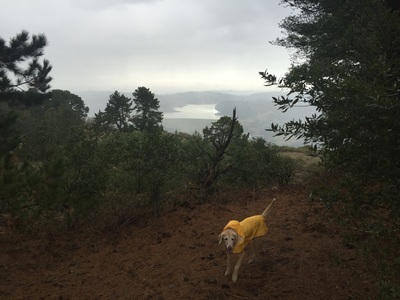 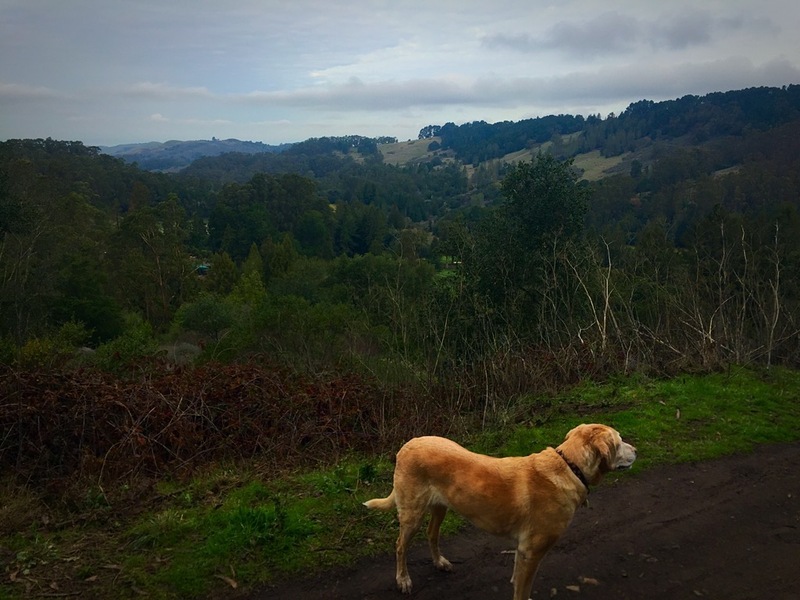 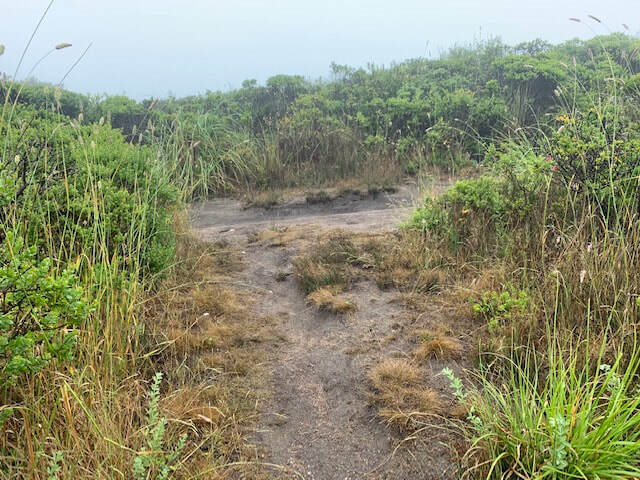 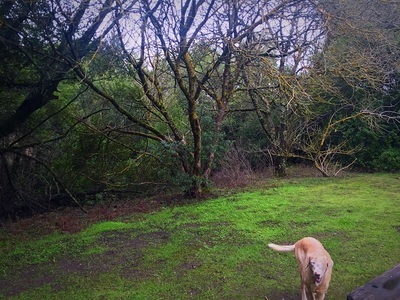 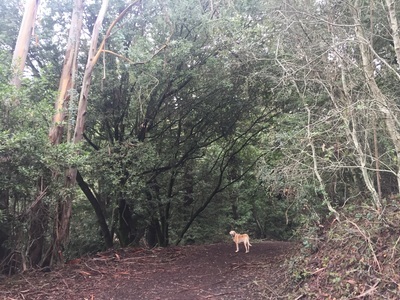 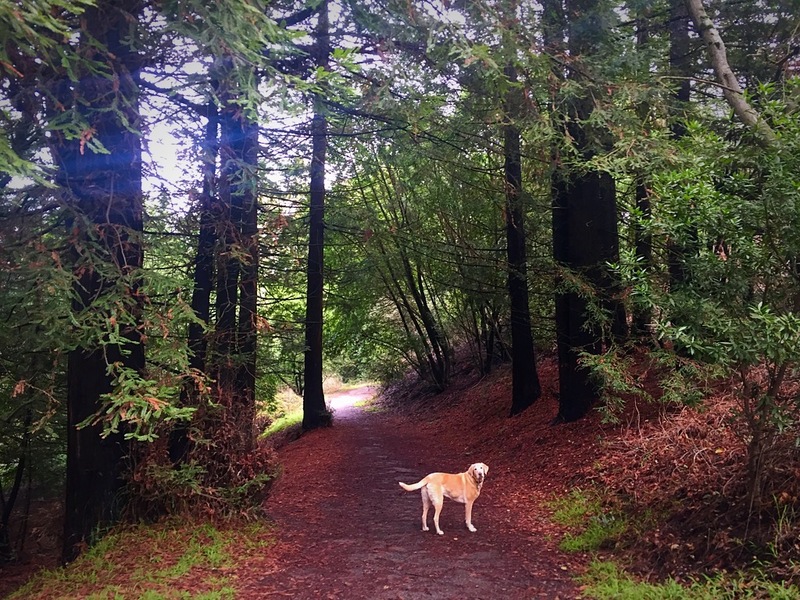 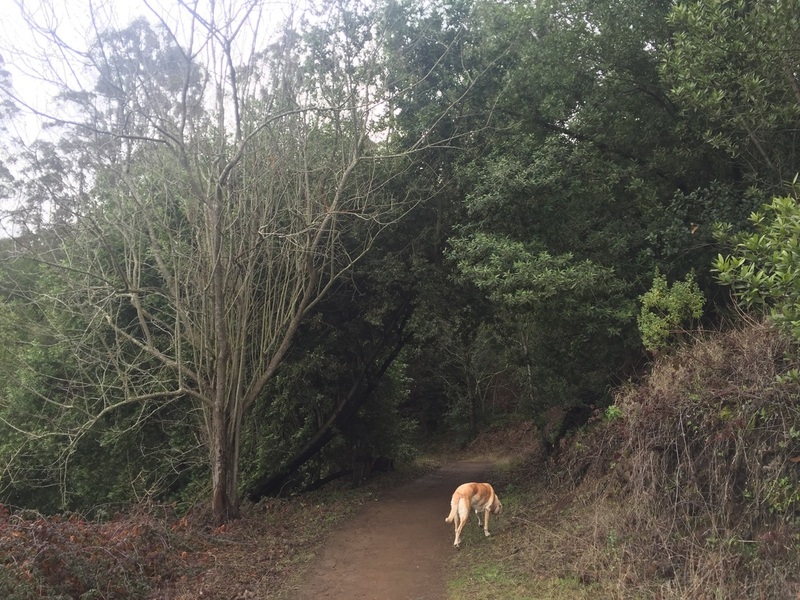 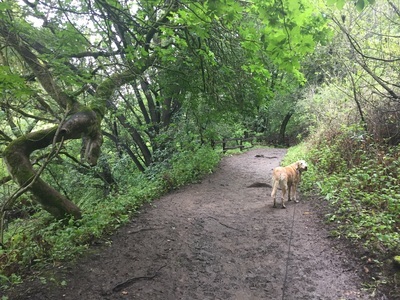 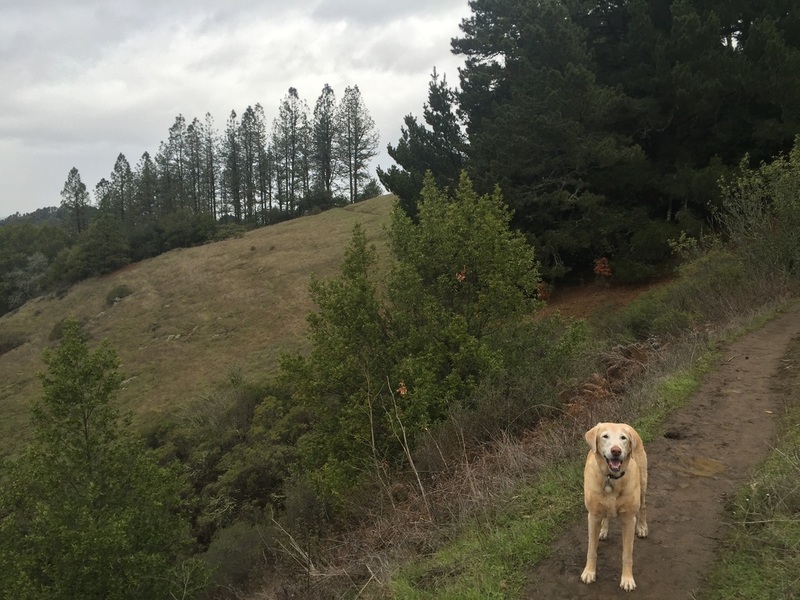 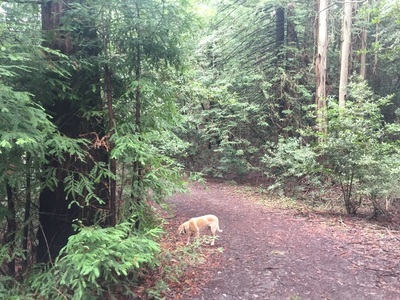 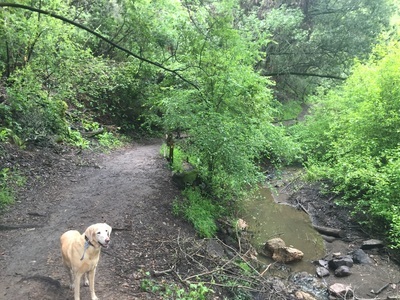 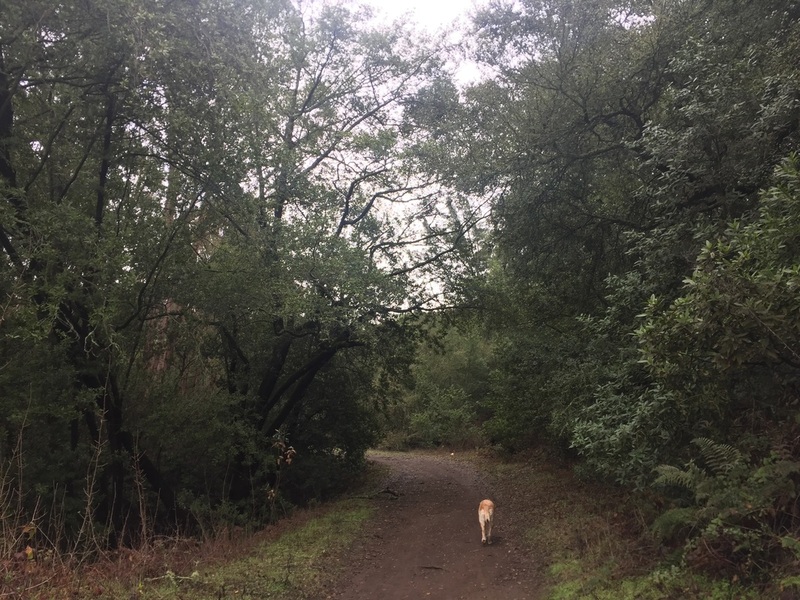 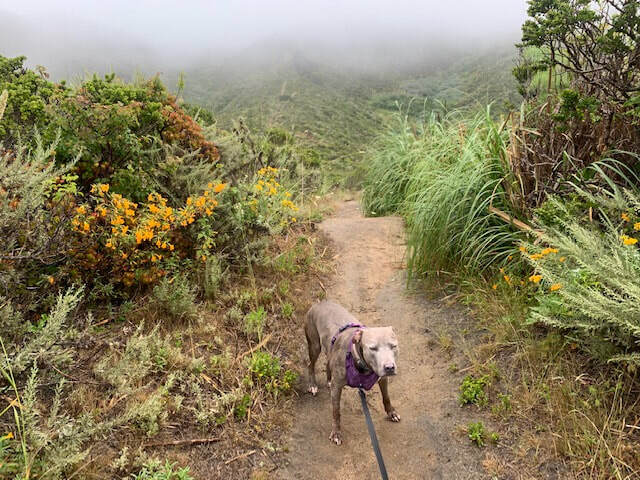 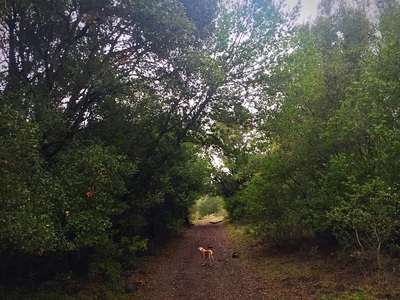 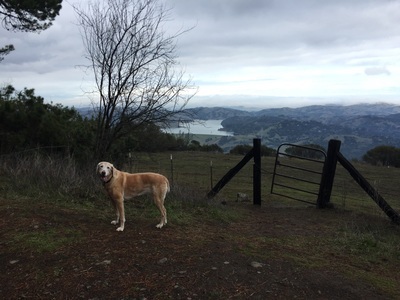 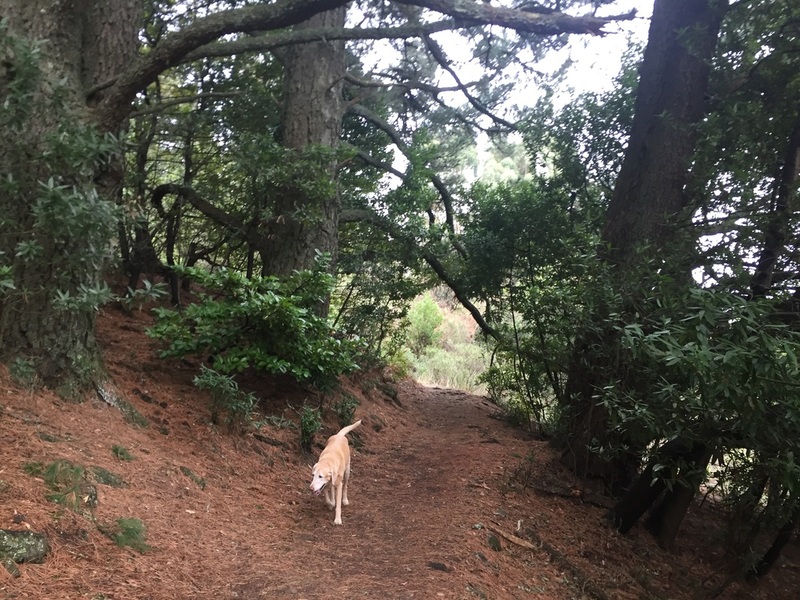 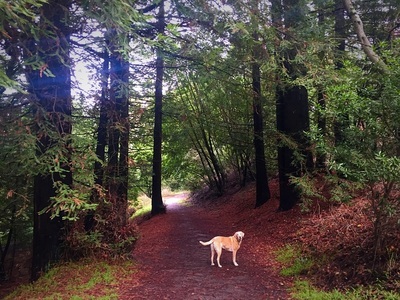 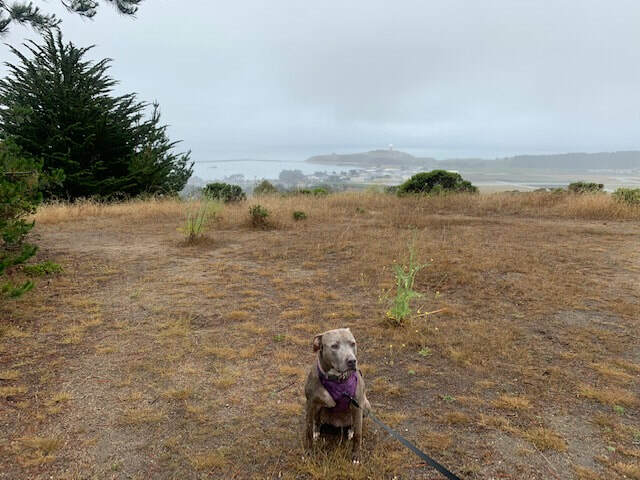 Unfortunately the area around Jewel Lake is the "Tilden Nature Area" where dogs are now allowed; however, there are plenty of other trails to explore. 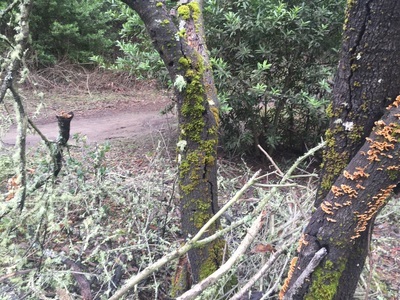 Much like Redwood Regional, Tilden has a very diverse trail system so it's difficult to get bored. 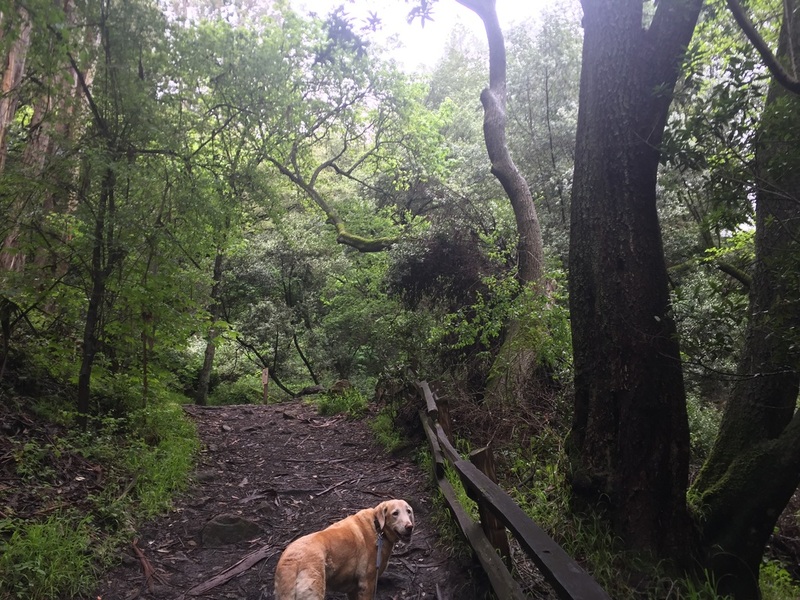 You'll find shady trails with towering redwood trees, ridge top trails lined with eucalyptus trees, canyon views and even views of the city. 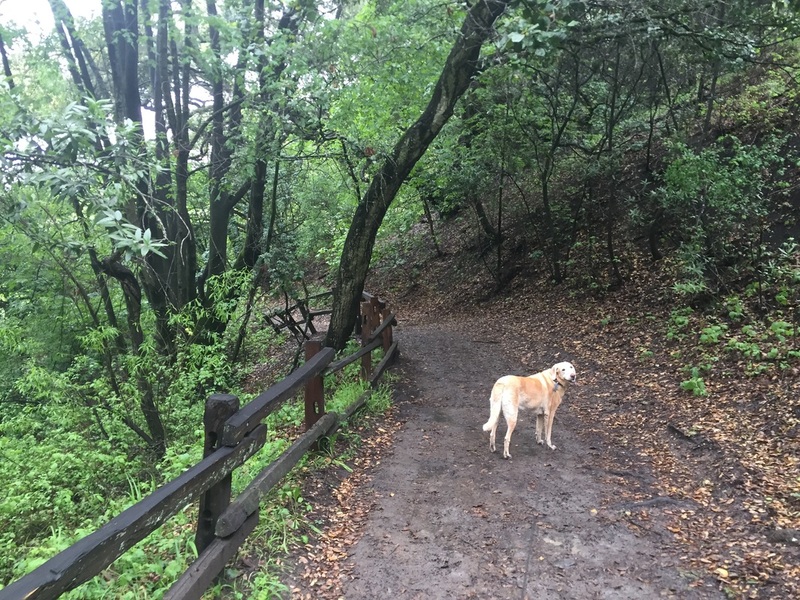 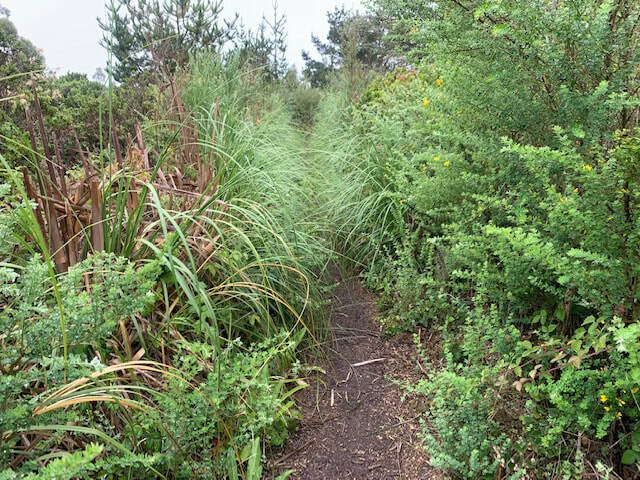 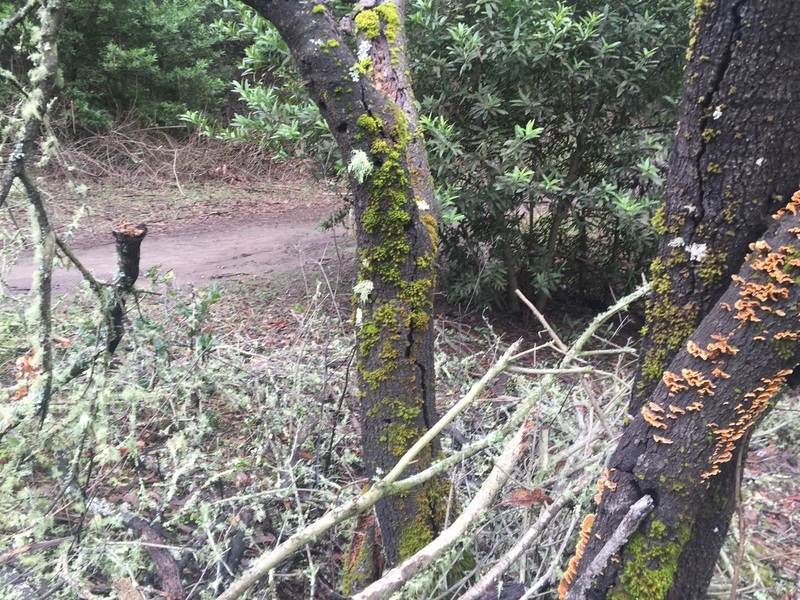 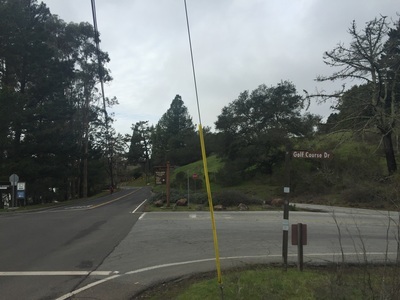 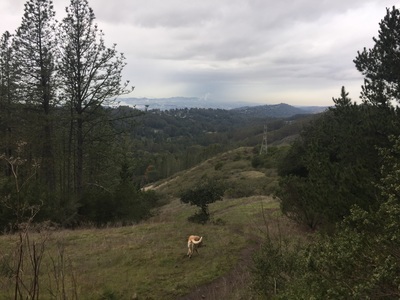 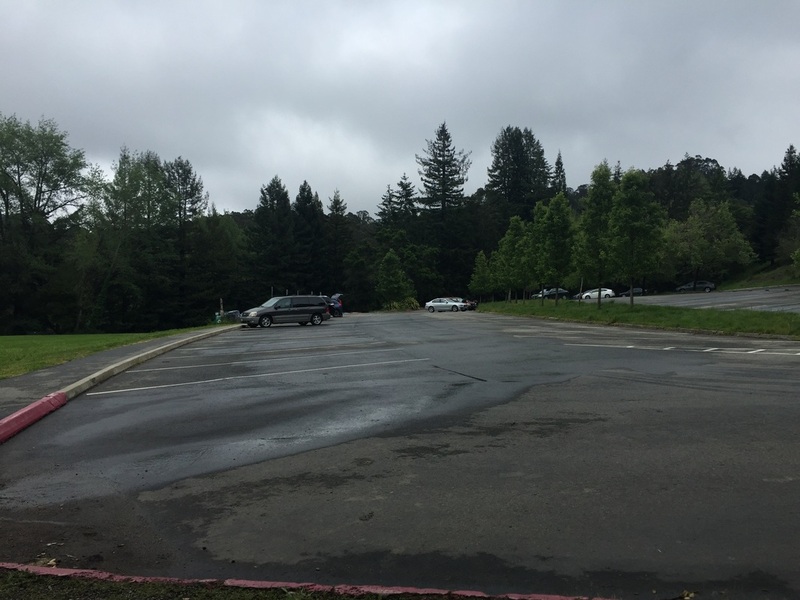 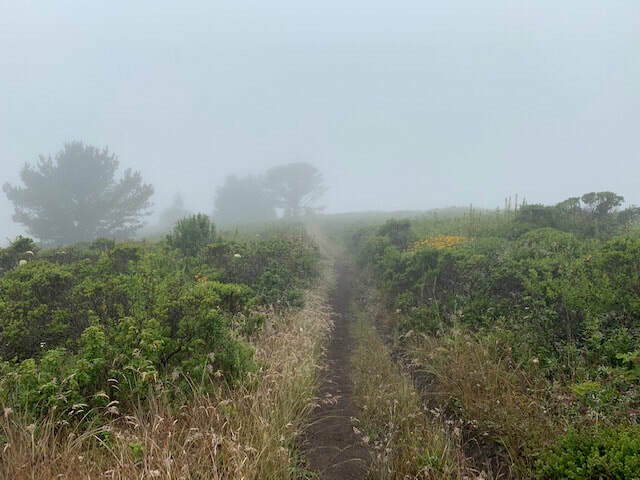 If you want to start on the Orinda side, at the Steam Train parking lot, you can either take the dirt Vollmer Trail or the paved Seaview Trail. 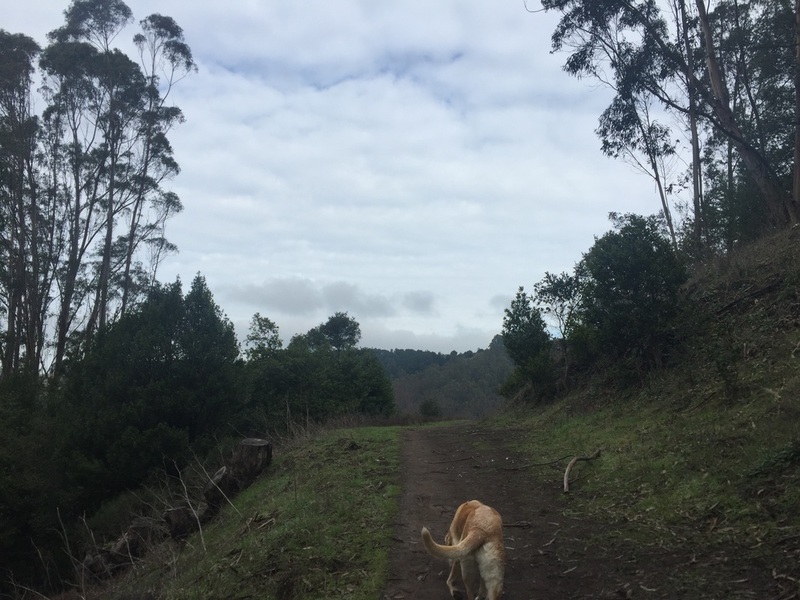 It's a moderately steep hike which will give you views of the Lafayette Reservoir and on a clear day, San Francisco. 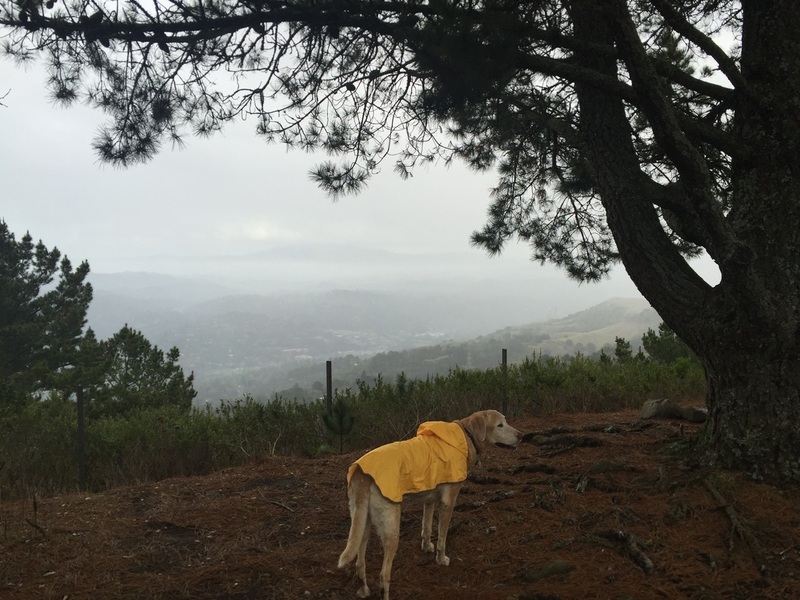 You can hike up to Vollmer Peak, which is the highest point in the Berkeley hills. 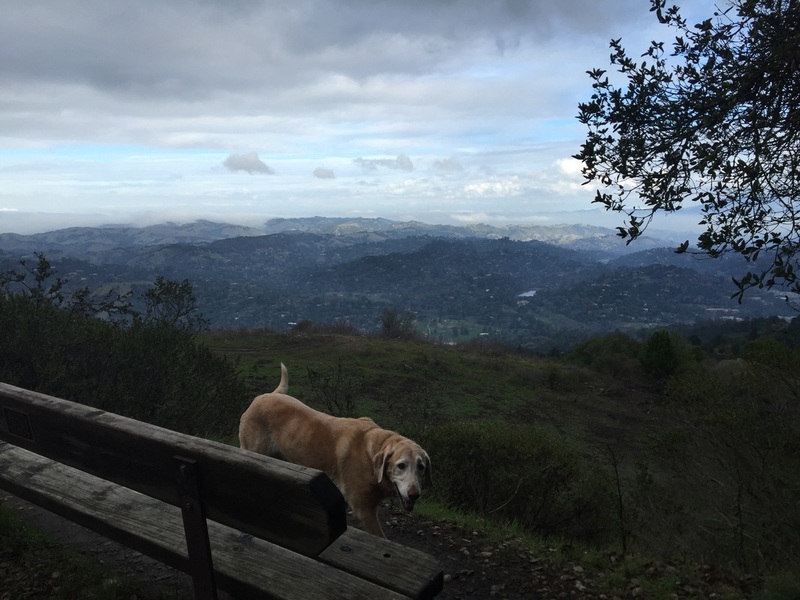 It houses communication towers, but also has some great views. 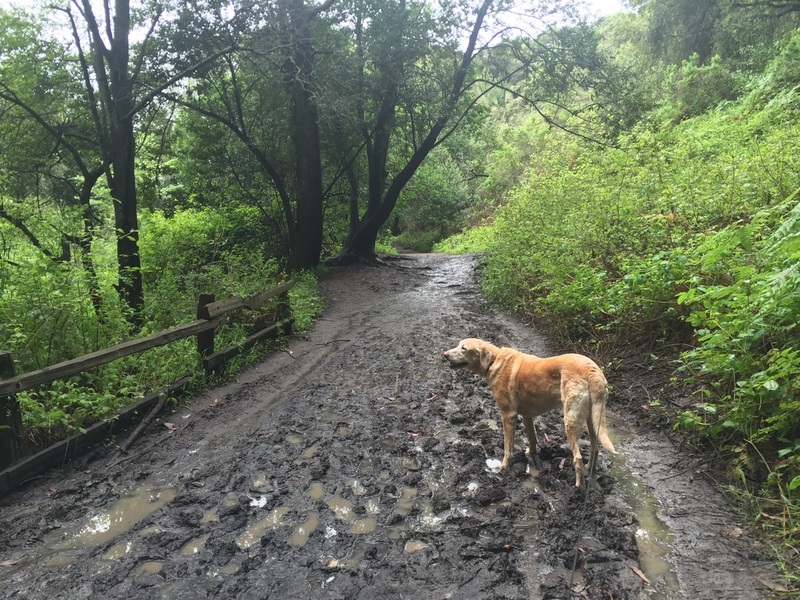 If you're looking to avoid the mud, I'd recommend sticking to the paved trail up to the top. If not, you can return via the dirt Vollmer and Lupine trails, for a round trip hike of about 2 miles. 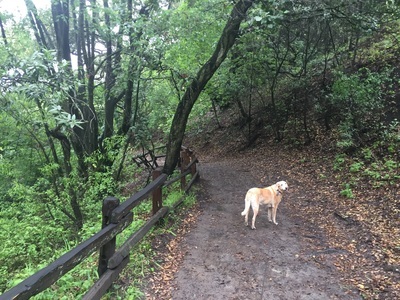 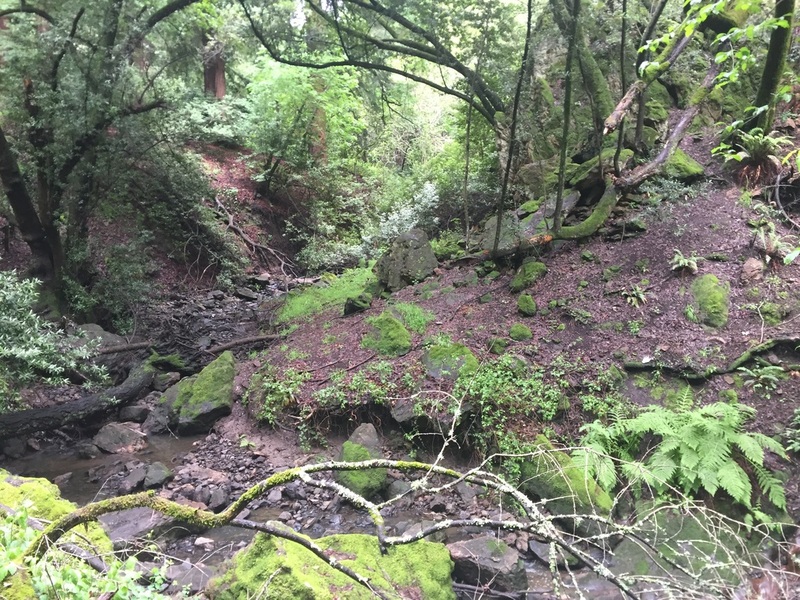 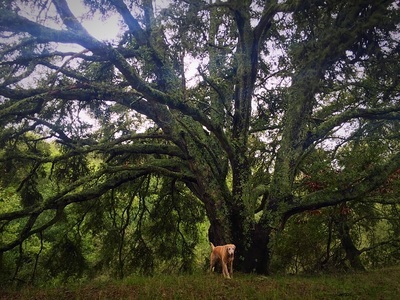 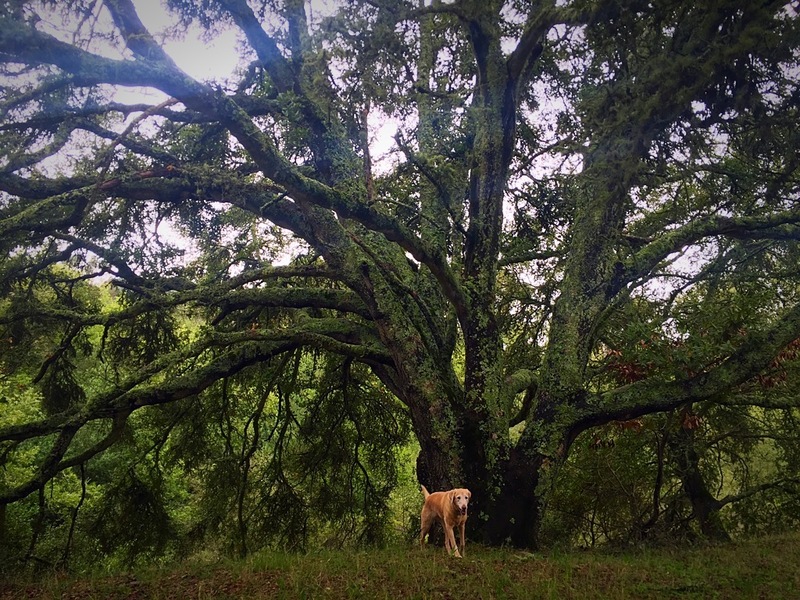 You can continue your hike as far as Wildcat Canyon or Sibley Volcanic Park. 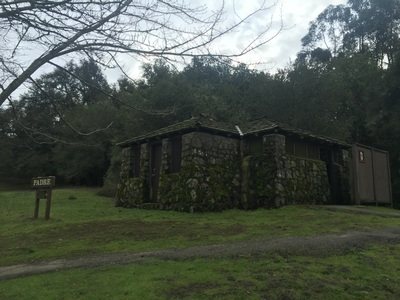 There are only pit toilets at the trailhead, but clean restrooms and running water can be found throughout the park. 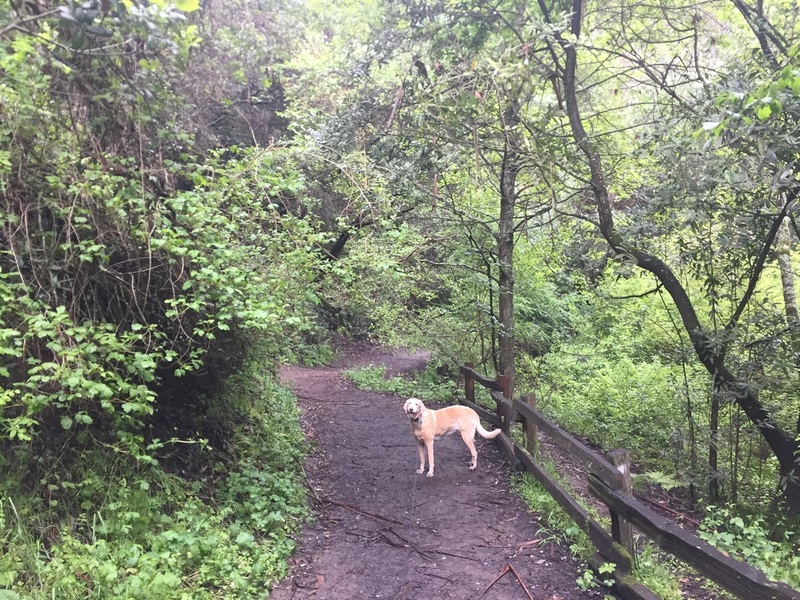 If you want to start on the Berkeley side (see Alameda County section), above UC Berkeley, you can get deeper into the park with shaded, lush green trails. 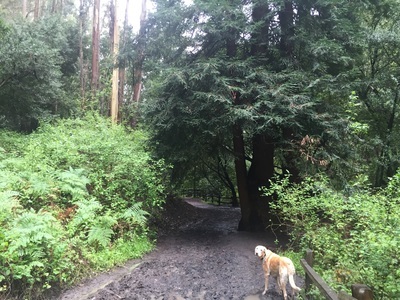 There are a number of routes to explore, but for a moderate 2 mile loop, take Redwood Trail to Golf Course Trail to Tower Trail and then take Grizzly Peak trail back. 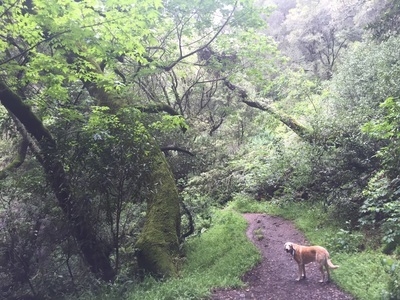 During your hike you'll catch a glimpse of the golf course, hike through redwoods, and along streams. There are restrooms at the end of the Golf Course Trail, along with running water. 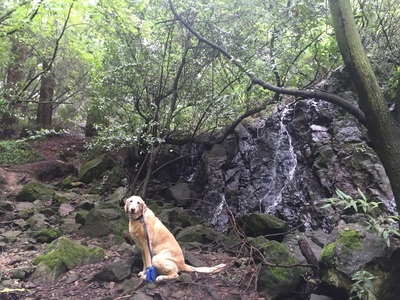 You can also start near Lake Anza, for a beautiful, shady hike and maybe even a glimpse of the waterfall! 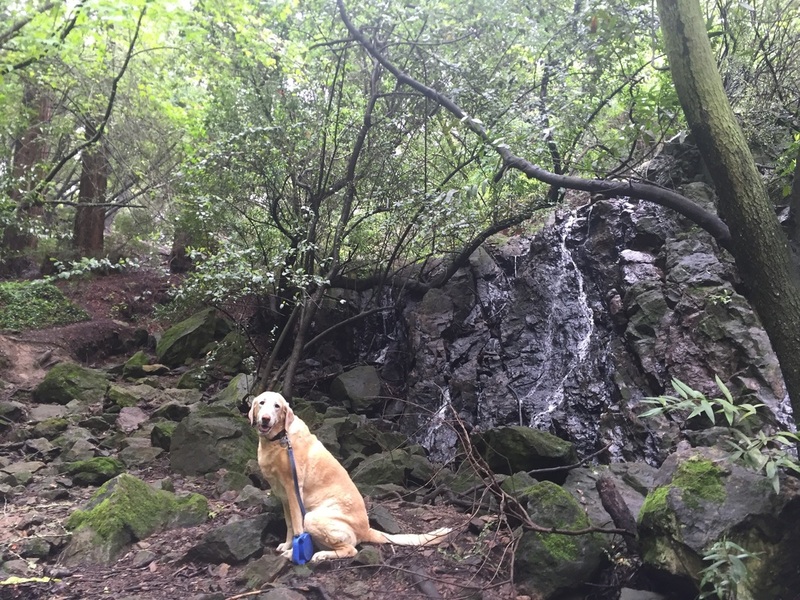 Runoff from Lake Anza creates a large waterfall (spillway), that has a scenic backdrop. 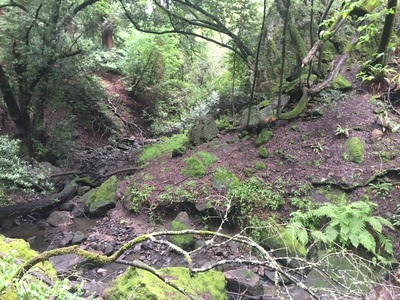 This waterfall is wider than it is high, with about an 8ft tall section, but small cascades totaling about 20ft. 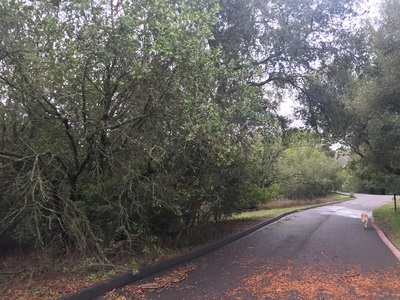 The pictures don't do it justice because there was a significant flow, but it also wasn't in full force. To reach it, park at the Lake Anza parking lot, begin your walk around the lake and take a right over the first bridge. Take a left on Wildcat Gorge Trail. You will soon hear the water, and after a steep hike down (this section can get muddy & slippery), you will see the waterfall on your left. 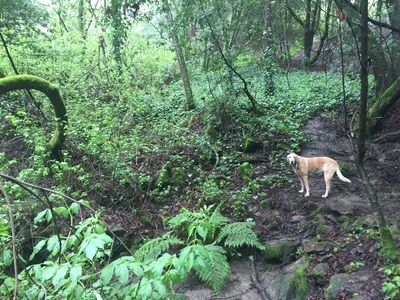 Above the waterfall and to your left you can find a huge rock face with a small cave. From here you can continue your hike down, opposite the waterfall, via the trail near the small stone cabin. 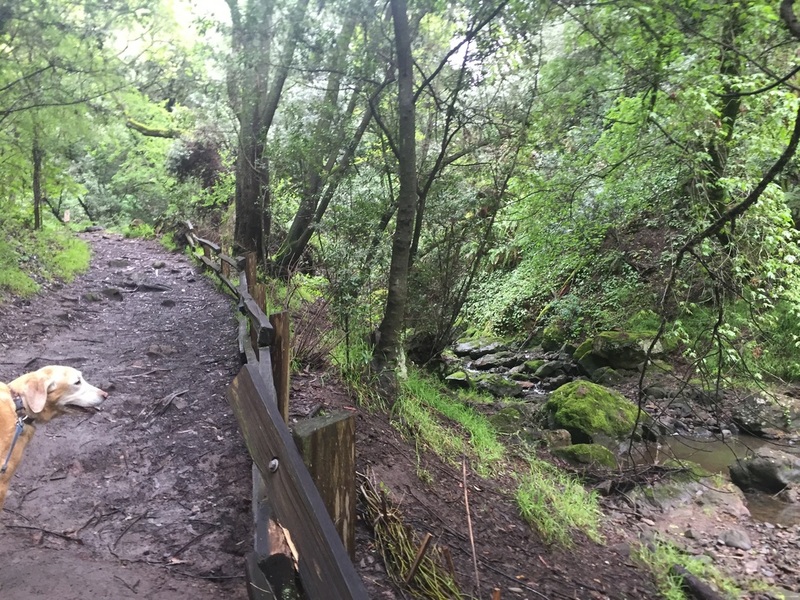 This trail continues down but is mostly flat, and crosses the stream a couple times. After a little less than a mile, you can make a right on the Meadows Canyon Trail, which has some steep sections. After 1.43 miles, make a right on Curran Trail, and in 0.62 miles you will be back to where you started on the Wildcat Gorge Trail. This loop is approximately a 3 mile, moderate hike. 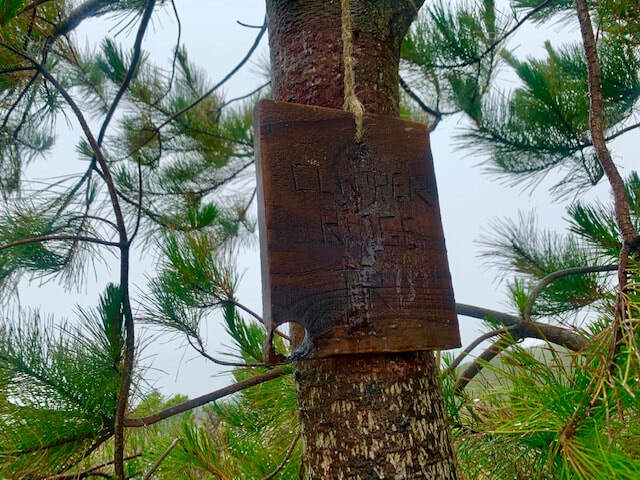 WARNING: Please pay attention to signs around the lake throughout the year. 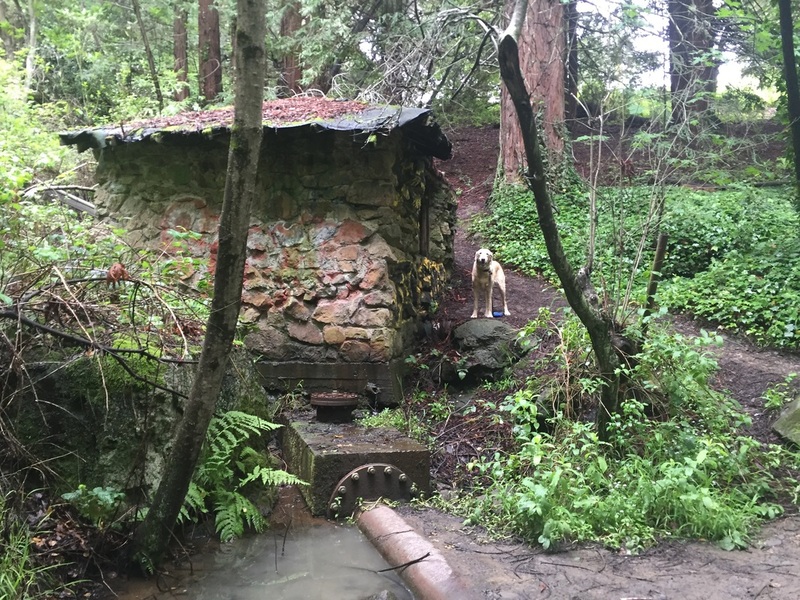 During the summer months Lake Anza was contaminated with toxic Blue Green Algae, and runoff from the lake cascades down the spillway. Do not let you dog drink from or swim in the water if it is contaminated, as this could be deadly. 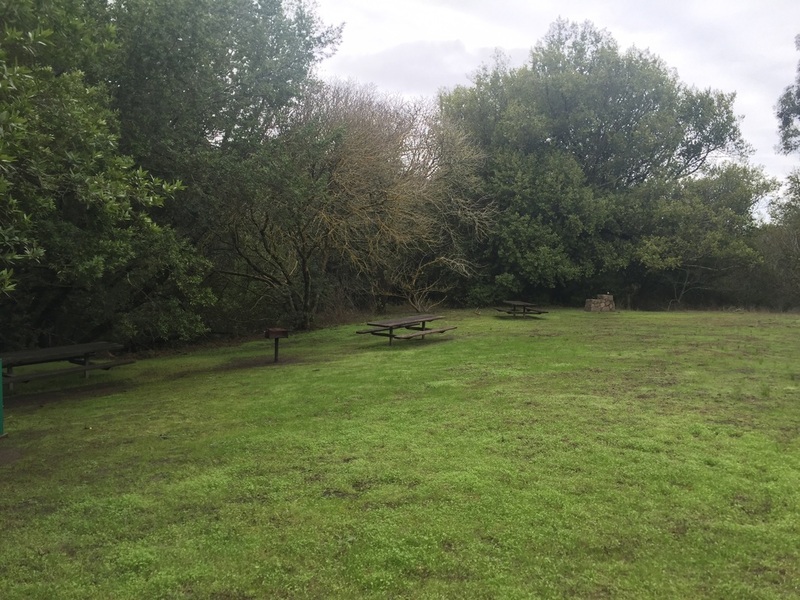 The park has restrooms, running water, picnic tables and BBQs throughout.